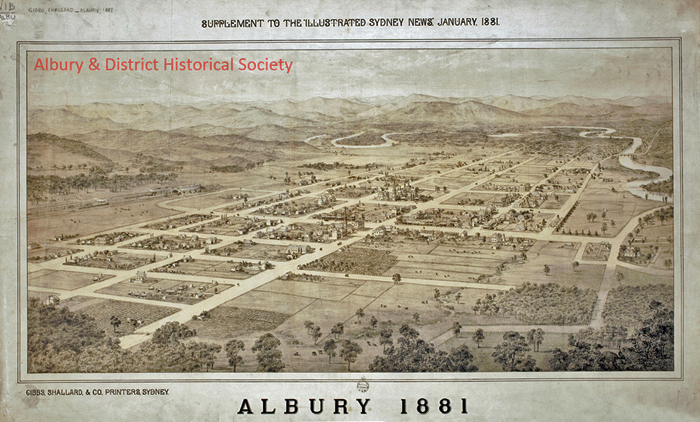 See also Albury Timeline and Comprehensive Albury Timeline on this website. Human occupation of this part of the Murray Valley began with Aboriginal people thousands of years ago. The Aborigines pattern of life remained undisturbed until in 1824 the explorers Hume and Hovell arrived. By 1836 the first white settler, Robert Brown had opened a store near the river crossing place. The new town was surveyed by 1838 and named after an English village and at the same time the first police camp was established near the Crossing Place. Albury town life has been recorded in local newspapers since 1856. The first council in Albury was elected in 1859 with J T Fallon as Mayor. Albury became a city in 1946 with a population of 15,000. The city absorbed Lavington and Thurgoona villages in 1962 and much of Hume Shire in 2004. In 1973 the city became part of the Albury-Wodonga National Growth Centre. The population of the Albury-Wodonga urban area now approaches 100,000.